iOS 9 is Apple’s newest operating system, introduced at the Worldwide Developers Conference on June 8. It’s the company’s next big project along with September 9’s iPhone 6S and iPhone 6S Plus. iOS 9 builds on the content introduced with iOS 7 and iOS 8, bringing subtle design changes, refined features, improved functionality, and performance enhancements. Are You Ready for Updating Your iPhone/iPad/iPod to iOS 9? Now a majority of Apple users can’t wait to upgrade their iOS device to the new operating system for more convenience and new functions. However, according to many users’ feedback in the past, when upgrading iPhone/iPad/iPod to a new operating system, perhaps there will be some problems. So, are you ready for the iOS 9 upgrade? Before continuing, please learn the things below. 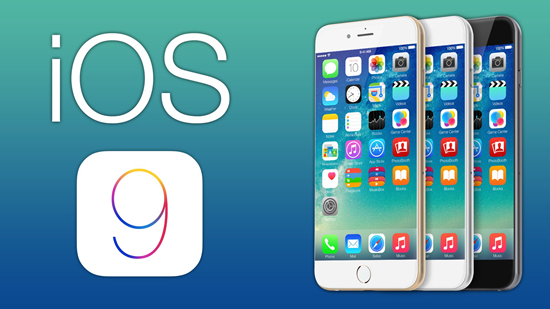 What Kinds of iOS Devices Can Upgrading to iOS 9? iOS 9 is proving to be more inclusive than previous iOS versions. Apple is choosing to make this update compatible with old iPhone, iPad and even iPod touch devices. 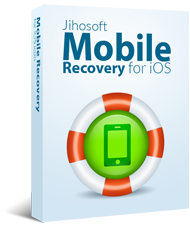 How to Recover Lost Data from iPhone after iOS 9 Upgrade? Data loss is always an issue when upgrading to a new operating system and iOS 9 has been no exception. There is a great possibility that you are unlucky to lose data like contacts, messages, notes, calendar, photos, music, etc. after iOS 9 upgrading. Not fret. If you have created backup by iTunes, Free iPhone Backup Extractor can help you restore data from iPhone after iOS 9 update. 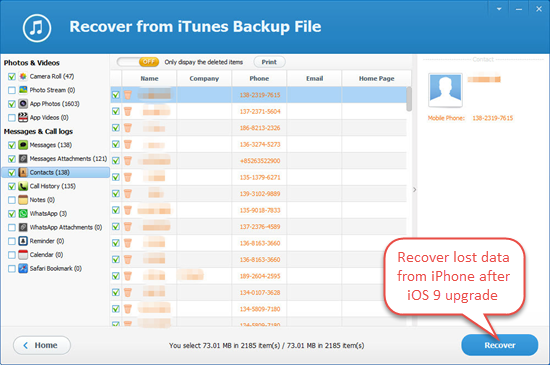 With it, you can view the data in iTunes and selectively recover what you want. 1.Run the program and choose your iPhone backup, then click “Next” to move on. 2.Select the file types you need to restore, and then click “Next” to begin scanning. 3.Preview the scanned data and mark those you want, and then click “Recover”. Certainly, if you have no backups, don’t worry, you can still get back your valuable data from your iOS devices directly. iPhone Data Recovery can scan your iPhone deeply and help you recover iPhone data after iOS 9 upgrade. Download it from the button below to have a try!